As the picture above illustrates, the garden is experiencing its first blooms of the year! 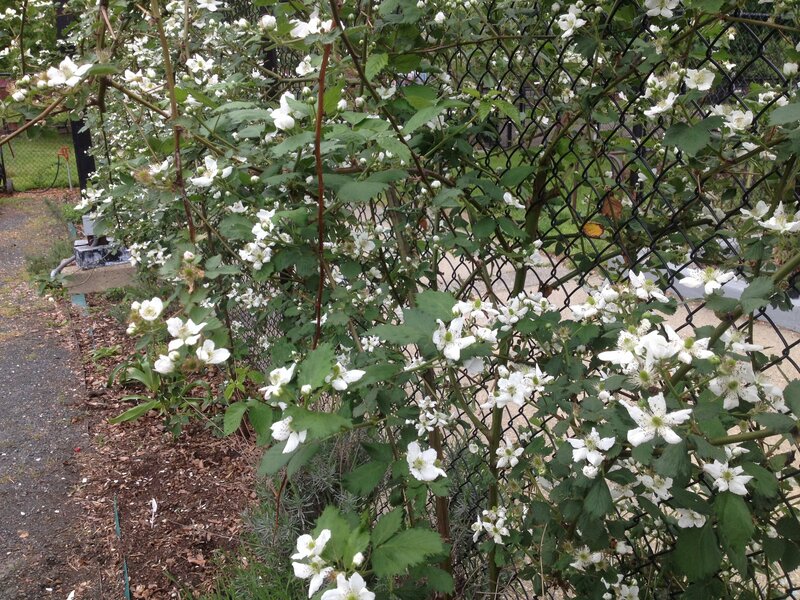 The white flowers belong to our blackberry bushes. Over the next 4-6 weeks, the flowers will fall off, allowing a green berry to emerge, which over time, will darken in color. The darker the berry, the sweeter the juice, so keep that in mind when they start appearing! 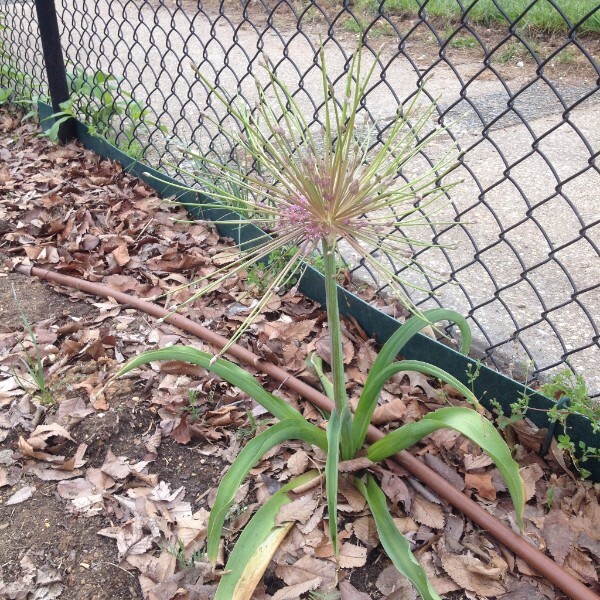 Below, is a picture of one of our ornamental onions, Allium Schubertii, starting its cosmic-looking bloom. Keep an eye out for the others along the food fence as they also reach peak bloom. 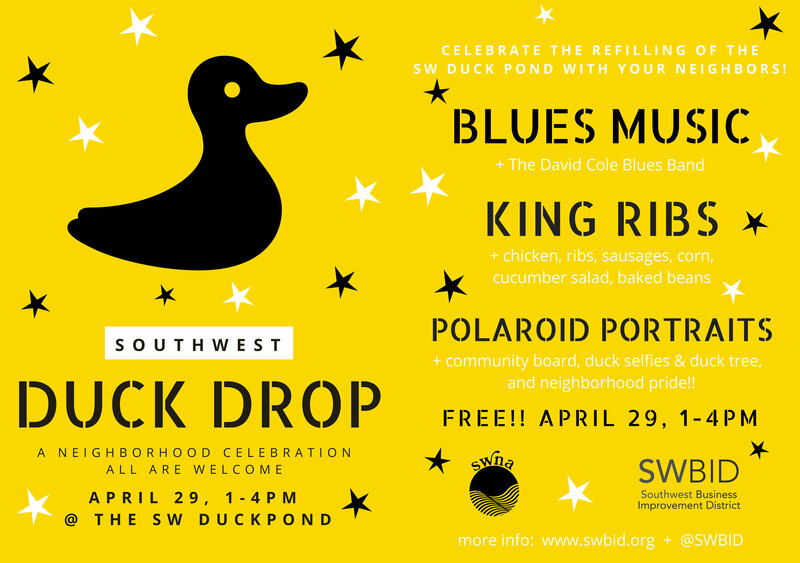 This Saturday, from 1-4pm, at the Southwest Duck Pond (located in the park at the corner of 6th and i Street SW), the Southwest Business Improvement District and the Southwest Neighborhood Assembly will be hosting a “Duck Drop”, where the pond will be getting refilled. There were be live music and food from King Ribs. The garden will have a table at the event and will be handing out free rosemary and lavender. 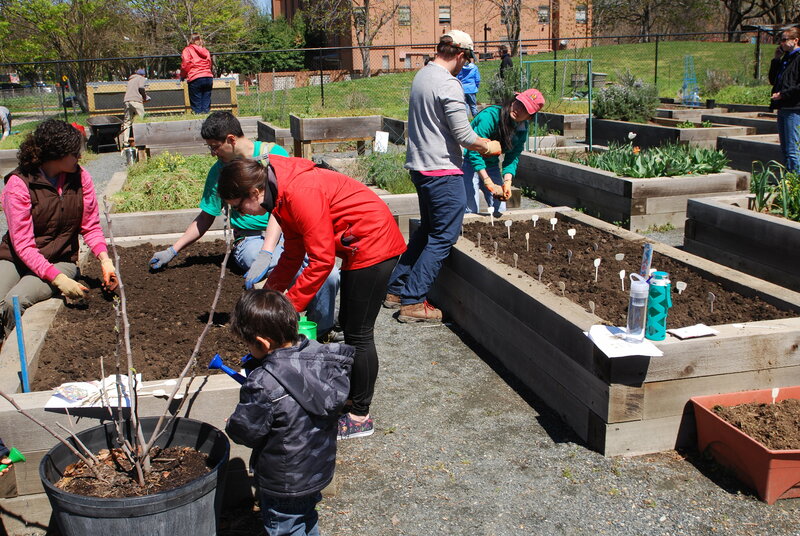 Our Gardening Year Has Begun! Shout out to SW (and its honorary visitors), way to represent! 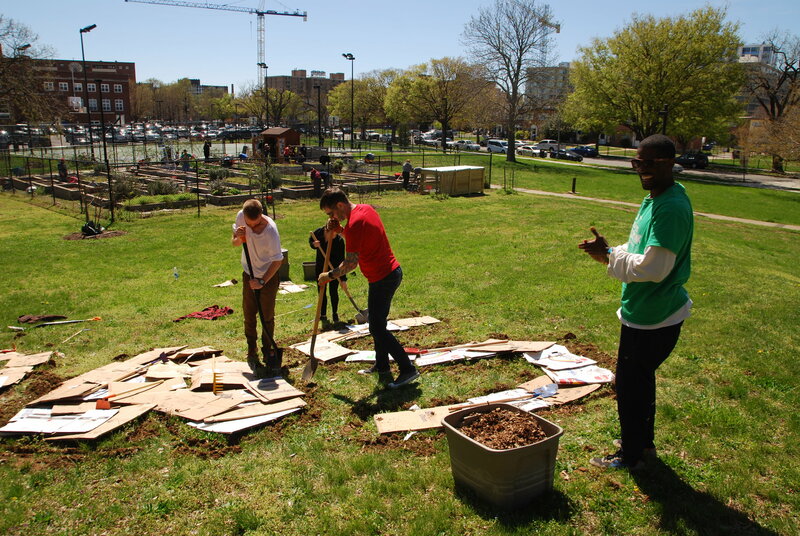 👏🏾 🙌 If the kick-off is a sign of things to come, we’re about to have the greatest garden year in garden history … 😛🤞🏾 but seriously, that was an amazing kick-off: more than 50 people stopped by to contribute their talents, time, energy, green thumbs, sweat, and coolness 😎. 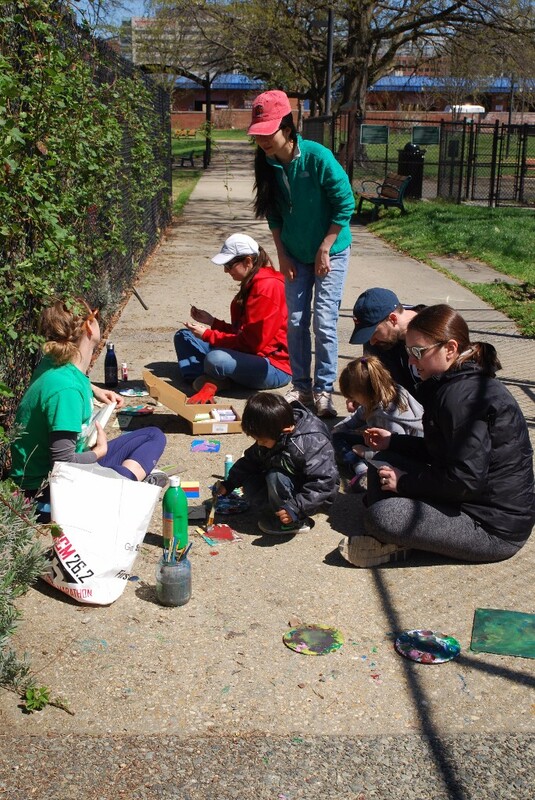 Even Ward 6 council member, Charles Allen, made an appearance with his daughter, in which they contributed some garden artwork. 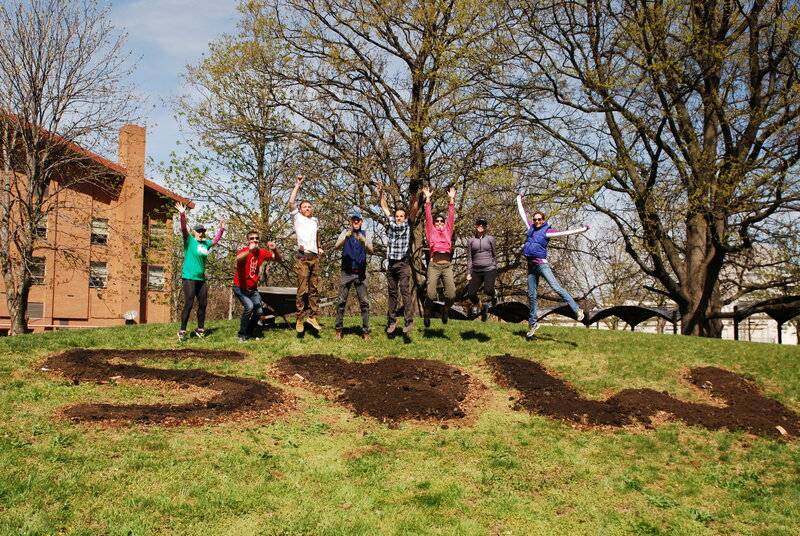 All in all, it was great to see so many people work with one another and nature. A valuable reminder of how transformative community work is! Now that the kick-off is behind us, our regular work days will begin, starting this Wednesday, April 12th, 6-7pm, and Sunday, April 16th, 4-6pm. Work days will continue every Wednesday and Sunday at those same times. You can consult our garden calendar for the schedule, if you ever forget. As a heads up, work days will be cancelled when there’s inclement weather. 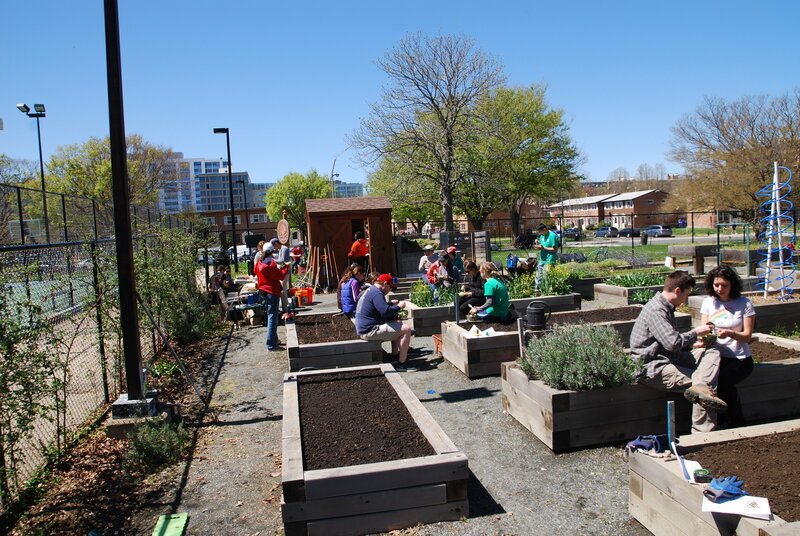 Over the next couple of weeks, we’ll be putting the finishing touches on our S❤️W garden, as well as weeding, watering, creating artwork, and composting! Speaking of composting, our new 365/24/7 compost system is officially operational. You’re welcome to drop off your food scraps during work days, but if those times are inconvenient, you can leave them in our new compost bin that is located outside of the garden. To learn the proper protocol, please email me for instructions. We’re going to start by prohibiting meat and “compostable” utensils. The meat may attract some unwanted visitors, and the limited size of our compost pile will prevent us from generating enough heat to break down the compostable materials. If you’re interested in learning how the magic of composting happens, just just during any of our work days. Thanks again for a great kick-off! Looking forward to a great year in the garden!